A REFRESHING BLEND OF LUSCIOUS STRAWBERRIES AND JUICY BLUEBERRIES. MADE WITH REAL FRUIT. NO SUGAR ADDED. Please drink responsibly. 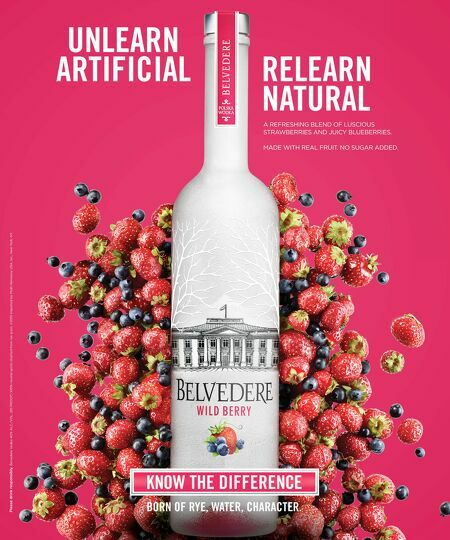 Belvedere Vodka 40% ALC./VOL. (80 PROOF) 100% neutral spirits distilled from rye grain. ©2015 Imported by Moët Hennessy USA, Inc., New York, NY.